A high-magnification Canon CN7 X 17 KAS S/P1 EF Cinema Lens supporting 4K resolution, including drive unit realizing operability of a broadcast lens , making it well suited to satisfy the diverse expressive techniques required in the creation of such broadcast content as television commercials, dramas and documentaries, as well as motion pictures and other cinematic productions. Also available in EF mount. Power Supply: In some cases the camera will be able to provide power to the lens through the mount. Otherwise the lens will require an external battery. Please ask Canon or any authorized dealers for details. Using our rich heritage of optical expertise, Canon has created a lens offering outstanding quality -from image centre to image edge. 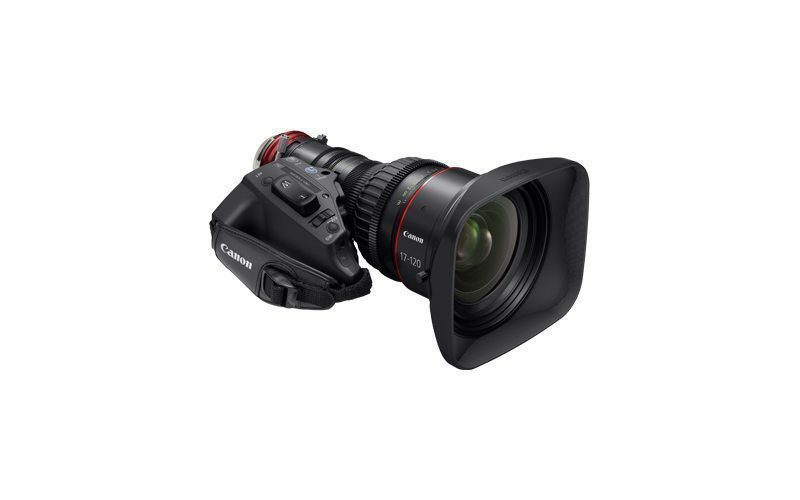 The Canon CN7x17 KAS S E1/P1 supports 4K resolution and incorporates an 11-blade diaphragm to deliver softer, more attractive out of focus areas. It is both weatherproof and shockproof – durable enough for every shooting environment.